Funko Friday was started by Pepi and Kimi as a way to showcase your Funko collection once a week. I’ve been slowly developing a large collection of these adorable figures so I was all in for this game! The first topic is Once Upon a Funk, a story of your very first Funko purchase. The first Pop I ever bought was Ariel. 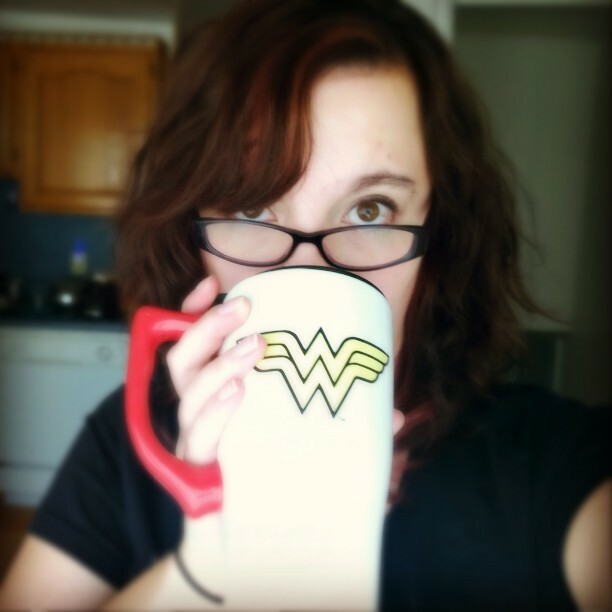 I remember very specifically standing in Barnes and Noble staring at all the cute figurines and trying to choose between Ariel and Superman. Ariel had a glittery tail, but superman had adorable curl on his forehead. It was a difficult decision, but ultimately, glitter won out. She is surprisingly the only Disney Funko I own. She currently resides on my Princess Diaries books. 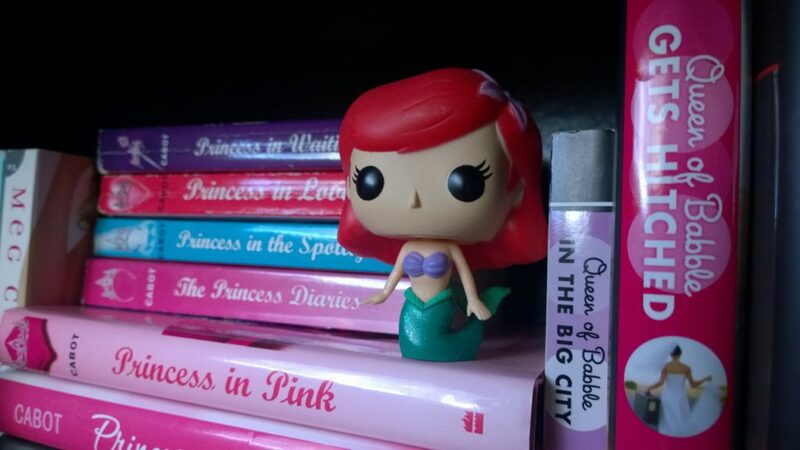 All of my other princess figurines reside on that same shelf with all my Meg Cabot books. What was the first Funko you ever owned? My Funko collection is growing. Basically anytime any of my favorite stores have sales, I end up buying a good handful (probably more than I should) of new Pops to add. A few weeks ago, I swung by FYE and picked up a Dancing Groot Pop [Affiliate Link] and a Crowley Pop[Affiliate Link]. I was excited to finally start expanding my Supernatural collection. I got home and set the figures down only to get distracted for a couple days before I could pull them out. After tossing the bag and setting the boxes on my desk I went about my day organizing my shelves to make room for the newest additions. 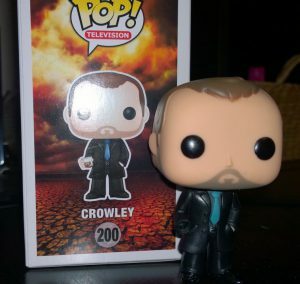 I was admiring the box and laughed when I noticed that in the picture, Crowley is holding a glass of something, but I couldn’t remember seeing that on the figure itself. After a moment I realized the reason that I didn’t notice it at first was because the figure I picked up, DIDN’T HAVE A HAND! Having already thrown away the receipt I didn’t know what to do. While I’m sure that some stores will exchange it, I wasn’t sure if with it being broken that I could return it. So instead, I decided to use this mishap to make something silly. A short (and probably poorly thought out) story about how Crowley could have lost his hand.